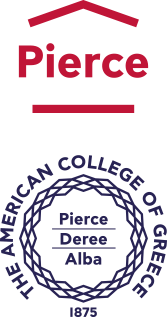 The Deree–ACG International Honors Program offers motivated and academically-committed Honors students educational enrichment through interdisciplinary learning experiences and opportunities for independent scholarship. It seeks to develop students’ intellectual and civic leadership skills through dynamic teaching and student involvement that extend beyond the classroom. co-curricular activities that cultivate creativity and civic engagement, such as sustainability workshops, lecture series, film series, etc. The Deree International Honors Program seeks to produce well-educated, articulate citizens who exemplify the highest standards of academic, professional and personal achievement. It offers an enriched curriculum that integrates knowledge, sharpens academic skills and encourages active involvement in the learning process. in the second stage, students apply the creative and intellectual skills they have acquired in the Honors Seminars to produce an Honors Thesis, the capstone requirement of the Honors Program. The Honors Thesis is also a bridge to a student’s professional or academic goals beyond college.